In Laure de Clermont-Tonnerre’s The Mustang—now in theaters—Roman Coleman (Matthias Schoenaerts), a prisoner at the Northern Nevada Correctional Center, finds his life utterly changed when he is picked by a wrangler named Myles to participate in their wild horse training program. Unlike everyone else in Coleman’s life, Myles sees a spark of real humanity in his interaction with his horse. To bring Myles to life, the filmmakers turned to veteran actor Bruce Dern. “He has this humanity and kindness and fragility,” notes de Clermont-Tonnerre. “He also has this very stubborn and tough way about him, this natural authority that actually defines Myles as this father figure.” Since his first film role in 1960, Bruce Dern has twice been nominated for an Academy Award® and has worked with such remarkable directors as Alfred Hitchcock, Hal Ashby, and Quentin Tarantino. While rarely a leading man, Dern has created a range of unforgettable, iconoclastic characters that seem to define the American West and spirit. He brings this lifetime of experience to play Myles, a man who despite having seen it all has never lost hope in mankind. 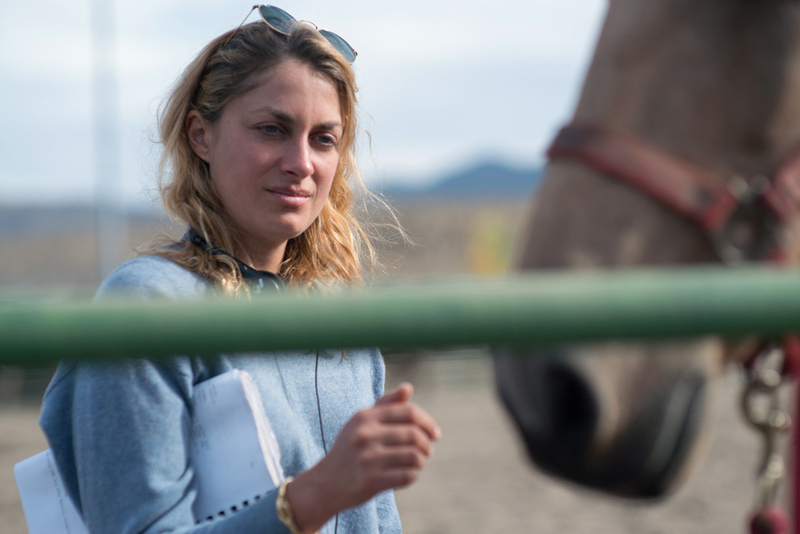 We spoke with Dern about who his character is, his own complex feelings about horses, and what he hopes audiences will take away from The Mustang. What did you think when you first read the screenplay for The Mustang? I thought it was incredibly unique. I lived in Tahoe and I knew where the prison in Carson City was, but I knew nothing about this wild horse program. I did know about the wild horse herds about 30 miles away. I was married in Carson City in 1969 to my present wife. We were married just after Barbra Streisand and Elliott Gould by the very same justice of the peace. Myles is a cowboy version of Vince Lombardi. He is the guy—or the girl—who takes semi-broken people and makes them believe they can be whole again. Myles is somebody who still believes in the word cowboy. I also believe in the word cowboy. Myles is a guy who will not settle for anything but helping people put their best foot forward. From the beginning, there were two words that were important in this movie: trust and respect. When you walk into the training ring, there is just you and the horse. You only have a long white pole to keep the horse away from you. You have to treat the horse like he is you. That’s at the heart of this program. De Clermont-Tonnerre found a way to make you see that. The genius of the script is that when Matthias is in the ring he is not dealing with a horse, but with another individual. What was it like playing Myles? When I started out in 1960, I was under contract with Elia Kazan. After four years, he let me to come to Hollywood, but he told me, "Look you are not a leading man. Nobody's going to know who you are until you're 60 years old.” I was 25 then. He told me, “When you get out there, you're going to play the fifth cowboy from the right. Just be the most honest and sincere fifth cowboy from the right that anyone has ever seen.” That's what I did for Myles. In a way, Elia Kazan and Lee Strasberg [the director of the Actors Studio] were my Myleses. I hadn’t acted before and they showed me what to do. Did you know Matthias Schoenaerts before making this movie? I had never met him and honestly I can’t remember having heard his name before. I did a cameo in a movie a year earlier called Our Souls at Night with Robert Redford and Jane Fonda. Matthias was in that. He played Jane Fonda's son. But I didn't meet him on set and didn't know he was in the film until I saw it. But he is tremendous. Both with his silence and beastliness, Matthias lets you see how mixed up the emotions of his character are. You’ve been in scores of westerns. Do you have a special affinity towards horses? No, horses hate me. I don't know how to ride. I look good sitting on a horse but when a horse has to take off, I'm sunk. In the movie called The Cowboys, I'm the guy who killed John Wayne. He and Burt Reynolds are the only guys who knew I couldn't ride. I never had any interest in riding, but I treat horses with respect. Did you connect with the feelings that Matthias’ character had for his horse in the film? I wrote a book in 2007 called Things I've Said, But Probably Shouldn't Have: An Unrepentant Memoir, in which I talked about what I feel about horses. I try to treat everything, even buildings, like human beings. When I was in college at the University of Pennsylvania, I lived with my uncle, Herbert F. Goodrich, who was a judge for the United States Third Circuit Court of Appeals. One day he asked me to come down and watch a case. He told me afterwards, “I have the best job in this country. Everyday I get up and I go down to the courthouse with the chance to be fair.” I never forgot that. I have always basically looked for what is fair. That same question guides how Matthias’ character deals with the horse the film. What would you like people to take away from seeing The Mustang? I love the opera in life, even though I couldn't sit through an actual opera. With this movie, de Clermont-Tonnerre made a kind of small opera, a drama filled with energy and life. If you take anything away, take the names of Laure de Clermont-Tonnerre and Matthias Schoenaerts. They have game. And credit to a guy like Robert Redford who helped the movie get made.